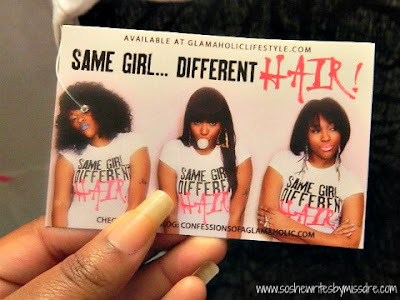 SAME GIRL, DIFFERENT HAIR. How many of you ladies feel like that statement fits your lifestyle perfectly? 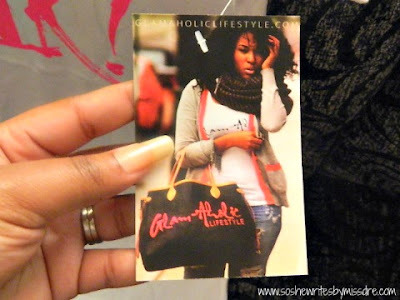 Well that's exactly what I was thinking the first time I checked out Glam-aholic Lifestyle. 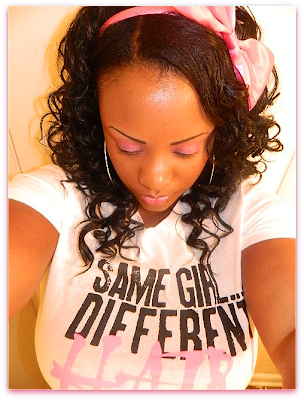 Of course, this tee for sale caught my eye because I'm forever changing up my hairstyle. 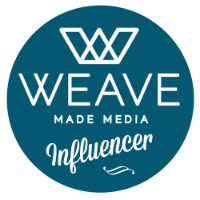 Just from looking at my pictures shared here on the blog, you guys know I will go from a tapered look to long flowing curls in a down-south second (my equivalent to a New York minute). So you know I had to snag one of these for myself! According to Mia Ray's website Confessions of a Glam-Aholic, which consists of an online store and blog, a Glam-Aholic Lifestyle encourages one to "Be Glam, Be Fab, Be You." I feel like rocking my cute white tee with the words "Same Girl Different Hair" gives me one more way to express myself, while maintaining my "Glam" and "Fab" factor. 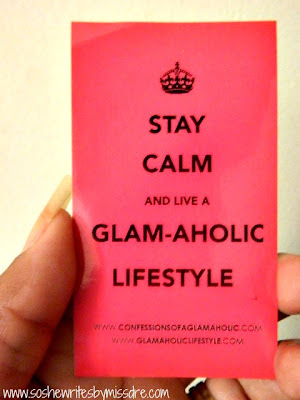 To learn more about the Glam-Aholic Lifestyle and to peep more info on the tee, check out the site here. Are you feeling the tee?